For a big one at TREES, keep an eye out in Dry Creek about 800m upstream of the swimming hole. There's a 1.5-1.75m one that's been there at least a couple of years. Likes to swim and then sit-and-wait on the rocks, spotted late evening/dusk a few times and late at night. Such an impressive and beautiful specimen ! I also saw it in DC 5 (5th transect starting from the swimming hole), at around 10 PM. 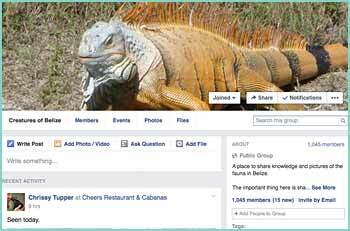 4) The ventral scales on the tail of a snake say absolutely NOTHING about its toxicity. Additionally, here in Belize, the best way to determine a venomous snake is by the features of the two most prominent types: Coral snakes, and crotalid viper species. 1) corals are generally characterized by yellow, black and red banding (red touch yelow kills a fellow), however one species has red and black banding alone, and is mimicked by a harmless slug eating snake with the same coloration. If you can't distinguish the two, leave both alone at all times. They will not harm you under any circumstances if left alone. 2) Pit vipers (fer de lance, jumping pitviper, rattlers) other than the obvious rattle on a rattlesnake, other pit vipers are generally characterized by a large triangular-shaped head and pits in the nostril area. They have elliptical pupils and a brow ridge over their eye (giving them a constantly angry look). 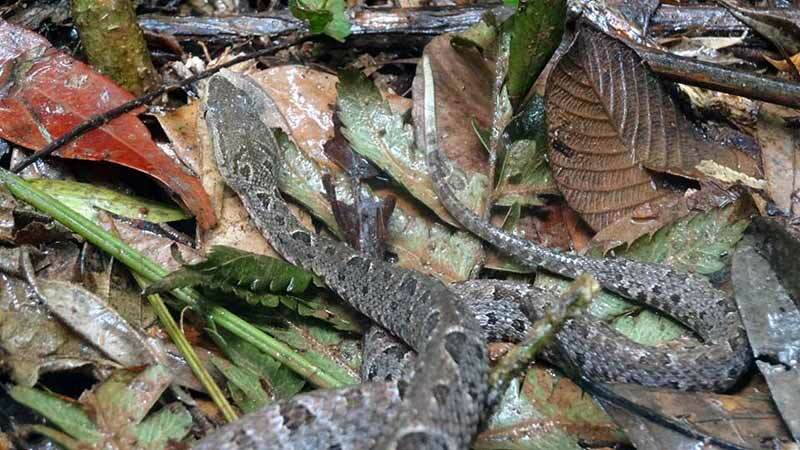 The coloration in pit viper species of belize is generally bland with light/dark browns, grey, and black. There is supposedly an eyelash pitviper in Belize which can be yellow or green, but they are extremely rare and would be impossible to misidentify, because they have eyelashes. 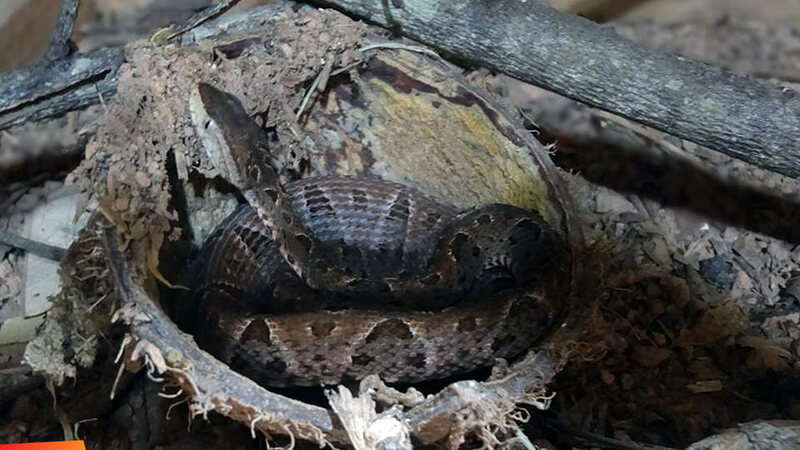 Also known as the Yellow-jawed Tommygoff in Belize, BFREE Founder and Director Jacob Marlin reviews the characteristics and behavior of snakes in general and of the Fer de Lance (Bothrops asper) in particular. Jacob Marlin, Herpetologist and Director of the Belize Foundation for Research and Environmental Education (BFREE) discusses the beautiful and often misunderstood Fer-de-lance or Tommygoff (Bothrops asper).